Luxury apartments in Gainesville, FL are rising in popularity among UF students, and it’s no surprise as to why. With striking modern designs, first-class amenities, and locations walking distance to the University of Florida campus, students are no longer choosing to live in traditional Gainesville apartments during their four years in the Gator Nation. 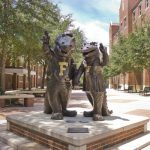 For UF students debating between renting a traditional, older apartment and a luxury apartment, we have compiled a comprehensive list of why brand new luxury apartments in Gainesville have become the number one housing choice for students attending the University of Florida. The days of outdated tile floors, cramped living spaces, and laminate countertops are no more for apartments in Gainesville. Developers are increasingly choosing to provide students with high-quality interior features in each room of the apartment in order to present students with a pleasant living experience. Kitchens are now furnished with granite countertops, custom wood cabinetry, stainless steel appliances and electric wine chillers for the ultimate dining experience. Instead of small shower stalls, bathrooms feature full-size tubs, porcelain pedestal sinks, and hand-crafted tile. The square footage of the apartments has increased and ceilings have been elevated to give students a more spacious living area, while apartments boast an abundance of windows to produce a bright environment with plenty of natural light. 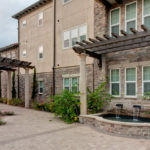 Most luxury apartments in Gainesville include private balconies or porches attached to each unit, as well. Not only are luxury apartments now designed more aesthetically appealing, but their amenities are more functional, too. Instead of on-site laundry facilities, energy-efficient washers and dryers are now being added into each unit. Similarly, apartments are now equipped with hi-speed Ethernet, one of the most important factors for a millennial renter and student who will frequently be using the internet. Each luxury apartment boasts a certain ambiance which comes alive through the distinctively-crafted architecture. UF students will feel as if they are transported to an exotic resort through the ornamental designs of their luxury apartments. 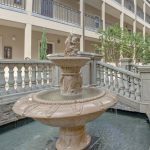 Solaria Luxury Apartments feels more like a Spanish palace than a traditional Gainesville apartment with its architecture similar to buildings lining the Mediterranean Coast. 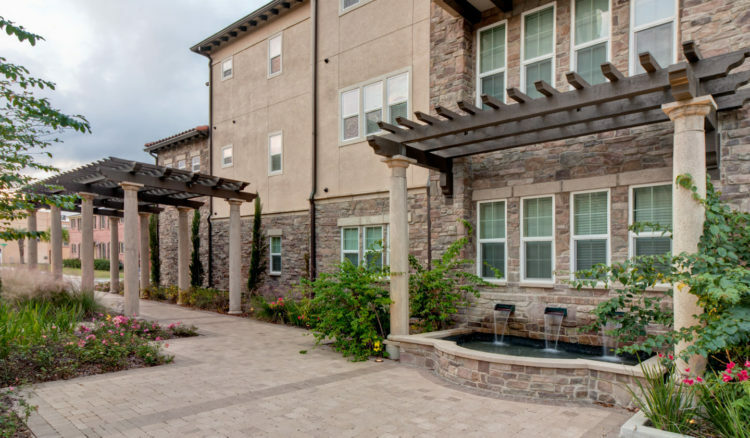 Likewise, Tuscana Luxury Apartments’ stone exterior and grapevine-enveloped trellises provides students with a peaceful taste of Italy amidst the busy Gainsville lifestyle. Whichever Gainesville luxury apartment students choose, they will have an exclusive, exotic experience. Taking note of the recent trends towards sustainable design, luxury Gainesville apartments are now offering energy-efficient appliances and technology which both helps the environment and saves students money. Energy-saving washers, dryers and dishwashers are among the features which use less energy than traditional, older equipment and prevent an expensive utility bill. Luxury Gainesville apartments are beginning to offer roommate matching options for residents who may not know anyone in the Gainesville area to share an apartment with. This is the perfect option for students who are incoming freshman or for those who want to live in a larger apartment but don’t have enough roommates in mind to fill up the unit. Out of the many luxury apartments in Gainesville, perhaps the most popular are the apartments near UF. Renting an apartment close to UF means being able to sleep in late and still get to class on time, pop home for lunch in the middle of the day, or bring home classmates for study sessions. Plus many of the apartments near UF are within walking distance of Sorority Row, so students can take advantage of the meal plans that are included in dues. 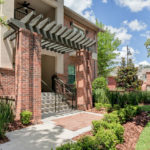 It is clear that luxury apartments in Gainesville provide students with a high quality of living that will ensure their college experience is comfortable, convenient, and pleasurable. Compared to traditional cookie-cutter apartments with few amenities and old-fashioned designs, luxury Gainesville apartments accommodate students with a home they are happy to come back to after a long day of class.